Apple has released the second beta version of OS X 10.10.1 to those registered with the Mac Developer Program and the Yosemite Public Beta. The update arrives as build 14B23 and is a relatively small download, weighing in around 300MB. Release notes accompanying the second seed of OS X 10.10.1 are the same as the first beta seed, saying the focus areas are Wi-Fi, Exchange accounts in Mail, and Notification Center. A variety of users have experienced Wi-Fi trouble and SMTP errors with OS X Yosemite, which 10.10.1 may well resolve. Presumably some other bug fixes and enhancements are also to be included in the evolving beta update, though none others are specifically mentioned. Currently, OS X 10.10.1 Beta 2 is only available to those registered with the Mac Developer program and Mac users who are running OS X Yosemite and participating in the Public Beta. The release was pushed to public beta users a bit later than developers but is the same build. Eligible users can download the update from the Mac App Store. 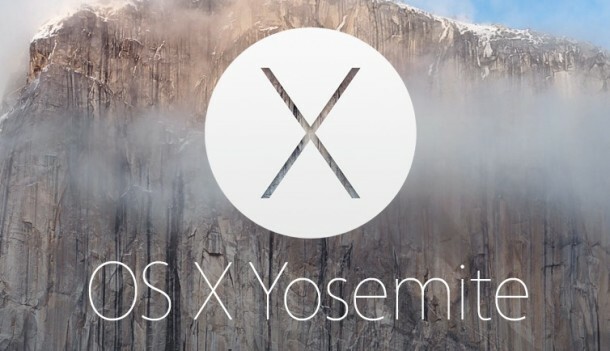 OS X 10.10.1 will be the first update to the Mac operating system since the release of OS X Yosemite, versioned as 10.10. There is no known release timeline for the public version, but typically OS X betas go through several versions before finalizing and being made widely available to all users. The second public beta for 10.10.1 was also released last night. So far it’s running fine. This is bs !!! The new Finder is full of bugs and they have focused their work at the WiFi, Mail and Notification Center. Insanity ! I was a part of the Yosemite beta program, but, I’m not seeing this update in my app store, however, after Yosemite was released to public, I did a clean install, so, maybe that’s why I’m not seeing it? I hope they fix finder & safari quirks fast!! …seems like the release is worse than the betas were…doesn’t make sense. It’s a developer beta, not a public beta. When you enrolled in the public beta you were explicitly told that that’s different from developer beta program, and might not have the same level of access. then why did they post this as the headline? Correct, OS X 10.10.1 Beta 2 is only available to developers and beta testers. Widespread release will be in the near future. I went to the beta program website and downloaded & installed the beta access utility again, as I did a clean install after yosemite was released. I restarted and feedback assistant came up, but app store still not showing this beta, nor the safari beta, I even (app store) signed out and back in, reloaded updates page, nothing. Are other beta testers getting this? If so, it would seem that my clean install removed something that I can’t seem to get back. A typical flaw in apple’s theory of how we do things (not expecting a clean install). I haven’t done a clean install since…Lion? Yet, I am finding many problems with Finder, iTunes & Safari, more so AFTER the beta program was over and final release of Yo. Odd. …which, brings me back to my old theory…wait for 10.x.3 before updating. I didn’t experience major issues with 10.9.0, first time I updated before a .3 release in years…only did it because I had read that people were not having major issues with it. I am tending to agree with you these days, at least for these major OS X releases. OS X 10.7 was a real mess, though 10.8 and OS X 10.9 did OK on the .0 releases and were largely trouble free (except for wi-fi, for some reason Apple can never figure out wi-fi, LOL). Meanwhile, OS X 10.10 is a huge mess, I would say borderline disaster, a la Windows Vista. It is unworkable in a production environment for many users – I had to stop recommending anyone install it at work and at home, way too many support requests that ultimately are unresolvable due to Yosemite shipping with major bugs. Also, I had to specifically inform anyone without laser vision or without a Retina display to avoid OS X Yosemite entirely, never upgrade. The font change is just awful if you do not have a retina display, it is very hard to read size 10 light grey thin font without retina, learned from that mistake too. And of course, Apple doesn’t offer a way to change the font size in OS X, so users are stuck. Yosemite is basically a sandbox for Jony Ive that should never have been released to the public in current form. It has potential and some nice features (Handoff works like 1 out of every 25 attempts, cool but unreliable), but in current shape, even OS X 10.10.1 (dev here and newsflash, its no different) is a mess. Put simply, don’t install Yosemite if you haven’t already. I’ve installed Yosemite. There’s lots I like. I agree it the browser is crashing more often. But knowing Apple they’ll work the bugs out of it. I use Chrome more than Safari as it’s faster. Others mentioned Finder issues. So I’m not the only one where sometimes things are there and sometimes they’re not? Nice to get the 30 days of free tech support from Apple with this install.